Ben and John began their friendship working for Kinney Shoes in Michigan in the mid ’80s. 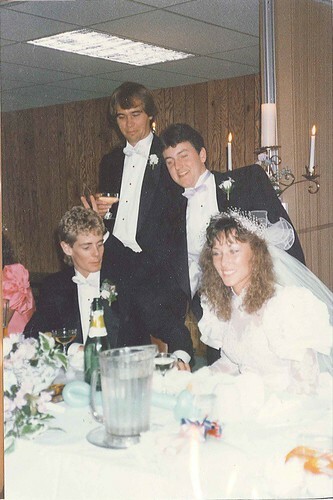 When John married Cherri, Ben was part of the wedding party. 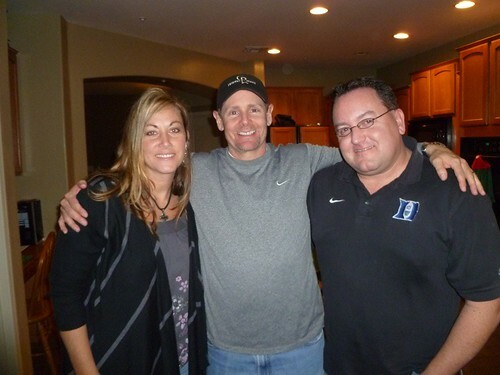 I’ve said this before, but I always thought it was cool that my “kids” shared their friends with me, and John and Cherri are some who kept in touch with me all these intervening years. So when the Andersons moved to Gilbert, Arizona, I could look up John and Cherri’s current address in Gilbert and Google map the two. Turns out they live seven house apart! So while Ben was here, we gave them a call and ended up at their house for dinner and an evening of catching up with each other.